Flash Burnout by L.K. Madigan. Houghton Mifflin // Hardcover // 336 pages. Blake was just doing his photography homework. He didn’t expect to find anything other than a cool subject for a photo shoot. But when he finds Marissa’s drug-addict mother, his — and her — world change. Now, he’s torn between helping Marissa and his girlfriend, Shannon. (Not to mention his conflicting feelings about both girls, his family, and the world around him.) Will he be able to put what’s really important first? I was pleasantly surprised by “Flash Burnout.” I thought the voice was pretty authentic, and that Blake sounded a lot like some of my teen boys at the library. But what really impressed me about this debut was the heart of the story. Blake’s seemingly light tone and joke cracking had me thinking that the book would be a quick, light-hearted story. I was wrong — this book has real depth to it. My favorite part of the story had to be Blake and his home life. I thought his mother, father, and brother were among the best, most well-developed families I have ever encountered in YA literature. And I think that the family was presented as a very relatable family — I think teens will find a lot of things in common with all of the characters. There were some minor problems with teenage slang. (And yes, it drew me out of the story even though I’m surrounded by teenagers five days a week.) And this is a novel for older teens by far. But overall, I thought this was a very strong debut novel. While it wasn’t my favorite of the Morris Award nominees (a YALSA award for best debut author basically), I thought that it definitely deserved the win. It’s already in my library and I would absolutely recommend it for public libraries. In lieu of an apology post for not updating more recently, I’ll just run down a catch-up of what’s been going on in my life/blog these past few weeks! I’m really excited to be a bracket judge this year for “Nerds Heart YA.” This is a bracket-style competition to recognize under-appreciated/unknown YA books released the previous year. For this year, the books nominated (nominations are over) had to feature characters or were penned by authors in the following categories: Person(s) of Color (POC), GLBT, Disability/Mental Illness, Religious Lifestyle, or Lower Socioeconomic Status. Stay tuned here for my post or check out Nerds Heart YA for more info. I completely slacked this time on the 24-hour read-a-thon. Didn’t post my start post, had to work during the time, wound up having to go car shopping right after work, and only put away four books. Thanks, as always, to the organizers of the event and to the cheerleaders who still commented even though my blog looked a bit dead! Read: “The Sky Is Everywhere” by Jandy Nelson, “Are You There God, It’s Me Margaret” by Judy Blume, “The Daughters” by Joanna Philbin, and “The Reckoning” by Kelley Armstrong. Page count: 1103. Reviews to come. Last Tuesday night, I had the pleasure of going and seeing both authors on the release day of “Will Grayson, Will Grayson.” It was a great signing — John and David both read from WGWG, answered questions, and talked about the process of writing the book. I laughed so hard that my stomach hurt. And it is definitely worth noting that there was a Stormtrooper in attendance. Also worth noting was meeting up with Drea and Kristen — it is always awesome to see friends! 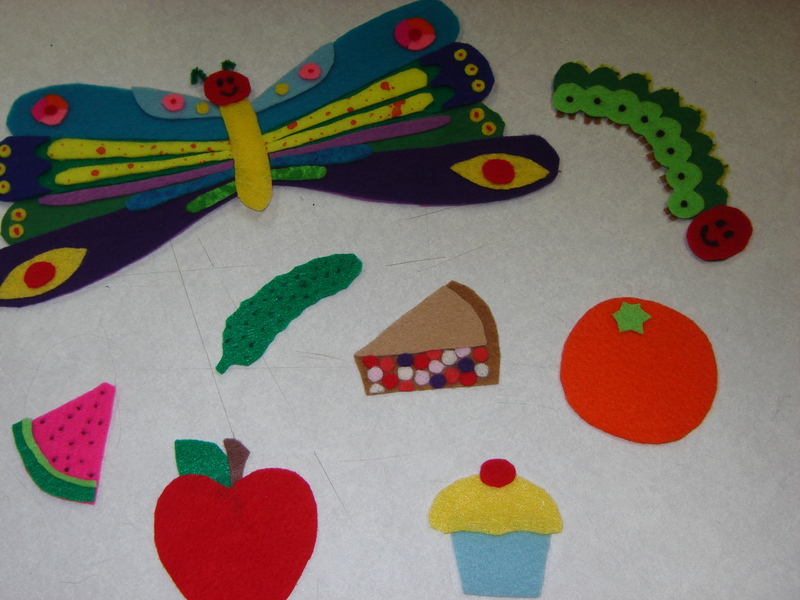 Yes, that is a “Very Hungry Caterpillar” feltboard. 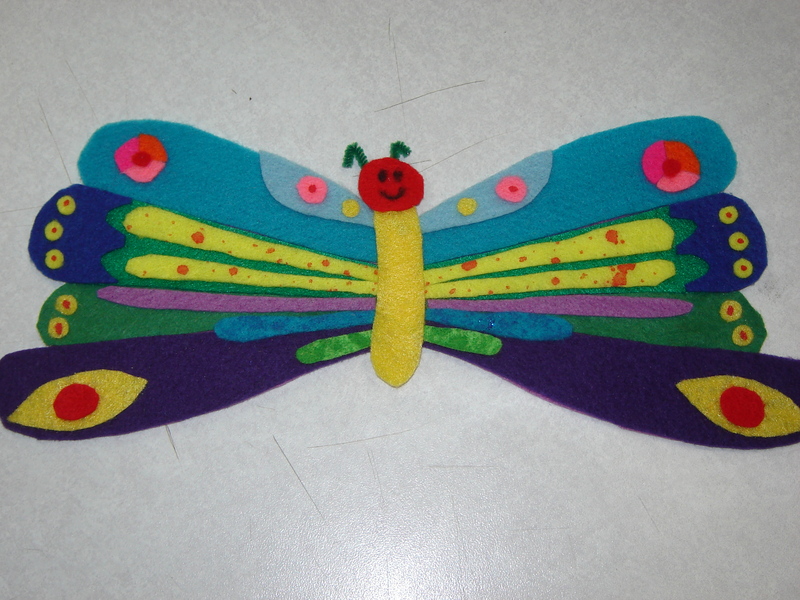 I made that at work this past week for my Eric Carle preschool program next month. I just had to show it off! And my attempt at celebrating National Poetry Month at my Teen Book Display! So, all in all, a busy few weeks at work (we were on spring break too! ), but I should be back into the blogging swing now. Boys, Girls, and Other Hazardous Materials by Rosalind Wiseman. Putnam // Hardcover // 288 pages. After a horrible eighth grade year, surrounded by frenemies and pressured to do what they want, Charlie Healey is certainly ready to make a fresh start at a new high school. But when she arrives at the school, she finds out that her past isn’t so easy to escape — there’s her childhood best friend Will, and Nidhi, one of the girls that the popular crowd tormented at her old school. And that’s not all that’s going on — Charlie’s got to figure out who her friends are and what exactly Will is hiding from her…before it blows up in her face. I have mixed feelings on this one. I really liked its potential, but it didn’t really achieve it throughout the course of the story. The first half of this novel is about Charlie and high school; typical freshmen issues — finding friends, joining clubs, classes, lockers. There’s little to no plot. And when Nidhi shows up, I thought, plot! But their differences are quickly gotten over and Nidhi becomes one of Charlie’s friends. I was interested in Charlie’s life, and pleased to read a YA novel about freshman year. But the plot doesn’t really show up until more than midway through the novel when Charlie discovers that there’s more than meets the eye to the peer pressure and bullying around her. And then, the plot moves quickly until the end of the novel, which does have a nice wrap-up, without leaving readers wondering what happens. The supporting characters (Nidhi, Michael and Sydney) wound up being my favorites. And I did root for Charlie and Will to figure out that they needed to date, but only mildly. Overall, this is a cute fun (slightly flawed) read that I know will find a place in YA literature. Public libraries would definitely benefit from having this in their collection. An Off Year by Claire Zulkey. Dutton Juvenile // Hardcover // 304 pages. Cecily had a plan — after graduating high school, she was set for college. But when she arrived at college for her move-in day, her plans changed. Cecily didn’t want to be there. So, she moved back home for a year, planning on taking a year off to figure out exactly what she wanted in life. The problem is she has no idea what she wants and no idea how to get it. For now, she’s content with sitting around. This novel really surprised me with its honesty about one of the hardest transitions for teens — the transition from teenagedom to adulthood. And I think this is an area of YA that is just beginning to be explored; one that needs to be explored further. I also thought that the novel might get to be a little boring if all Cecily was doing was waiting to figure things out. But outside influences in her life (her family, her friends, a therapist) really to the story, making it well rounded and not a completely internal dialogue. I really connected with Cecily as a character. I feel like everyone has that moment in their lives when they look as the expected path laid out for them and wonder why they’re doing what they’re doing. I didn’t take any years off between high school, college, and graduate school — sometimes I really wish I had! And it has to be mentioned — the novel takes place in Chicago and I still get a thrill out of reading books that are written in my hometown. Zulkey did a great job describing the area and I definitely felt like I was around the Rogers Park/Evanston area…even if the novel doesn’t come right out and say it. Younger teens will probably be less interested in this title, but I definitely think this will work well with high school seniors/college freshmen. Posted by Katie in in my mailbox. In My Mailbox explores the contents of my “mailbox” on a weekly basis. I’ll be using this as a book and contest round-up tool to show what I’m getting ready to review. If you would like to participate and have your own “In My Mailbox” post, you can find more information here at The Story Siren. “Radiant Darkness” by Emily Whitman. “The Summer Before” by Ann M. Martin, “Confetti Girl” by Diana Lopez, “The Evolution of Calpurnia Tate” by Jacqueline Kelly, and “The Total Tragedy of a Girl Named Hamlet” by Erin Dionne. “The Iron Daughter” by Julie Kagawa, “The Clearing” by Heather Davis, and “Inside Out” by Maria Snyder. “Rules of Attraction” by Simone Elkeles and “Blood Feud” by Alyxandra Harvery. By the Time You Read This, I’ll Be Dead by Julie Anne Peters. Hyperion // Hardcover // 224 pages. Daelyn Rice has tried to commit suicide multiple times. The latest attempt has left her unable to eat solid food and to talk without pain. And Daelyn still wants to die — so she finds an online community to support her during her next attempt; the attempt that Daelyn wants to be her final success. But as much as Daelyn wants to die, others want her to live and they’re reaching out to her, trying to keep her alive. It’s hard to review this book for me. I thought it was amazingly well-written, but the whole time I wanted to shake Daelyn and remind her that people cared about her. I was so utterly frustrated with her character and the seemingly unending hopelessness that she had — I really struggled to finish the book. There are also pretty detailed descriptions on the methods that people chose to commit suicide, something that I almost wasn’t comfortable with in a YA book. And I have to say that I’m pretty open-minded when it comes to difficult subjects in YA literature. But when the descriptions were making my stomach turn? It was too harsh for me, and too harsh for a lot of the teens I know. Daelyn does has reason for being truly unhappy — she’s been bullied her whole life for her weight. I don’t want to say it justified her depression and suicide attempts, but I felt like she had been truly abused. And the most frustrating part about the novel was that the ending was open — we don’t know what Daelyn did; if she did attempt suicide, if she was successful; or if the few people in her life were enough to convince her otherwise. A hard-hitting well-written YA novel. I had trouble moving past the subject matter. And I think librarians should be careful to recommend it to teens who can handle the material.